#10 Best birthday gifts for dads under $100 in 2019. Mother’s day is the one day every year when it’s all about them and we’ve got you covered with this collection of the best gifts for Mother’s day under 100 dollars. Let’s face it, our mums do so much for us and Mother’s day is the one day every year when it’s all about them. So for this Mothers day, you can say thank-you-mum with one of these Mother’s day gift ideas under $100. If you always struggle to find a great present for mom, this list of 10 best Mother’s day gifts under $100 will be of great help! The Instant Pot is a great gift for those people who love to cook and try different things in the kitchen with very little effort. This device does the work of 6 kitchen gadgets and it’s definitely a gift that mom will greatly appreciate. 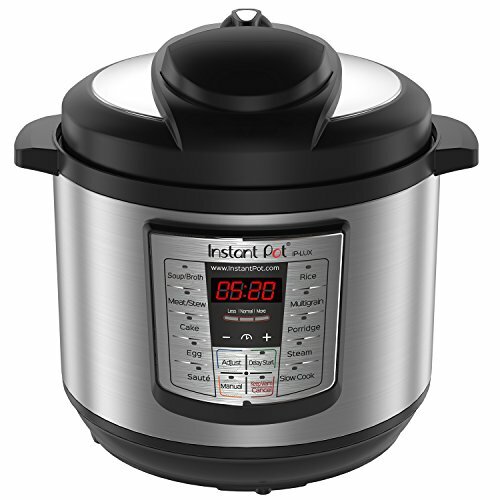 This 6-in-1 device includes pressure cooker, slow cooker, steamer, rice cooker, saute and warmer, and it also features 14 different programs, including soup, meat/stew, porridge, poultry, bean/chili, multigrain, and so much more. Overall, this is a great value for your money and your mom will get a lot of use out of it. If your mom is the kind of lady who enjoys the comfort of a fluffy, absorbent robe, then give her the gift of comfort with this incredible white spa robe. This Luxury Robe is made of 70% bamboo viscose and 30% cotton, making it incredibly soft and breathable. Plus, the design is luxurious and its easy-care instructions make it simple to keep clean and ready to use. This robe is perfect for after a shower or a bath, but it’s also a good item to just lounge around the home in total comfort. If your mom likes to take her coffee on the go, getting her a Stainless Steel Tumbler such as this will make her very happy. This stainless steel, grip-friendly tumbler is designed to keep your moms beverages just how she likes them. This tumbler has a capacity of 30 ounces and it fits in standard cup holders, which means it’s easy to carry. 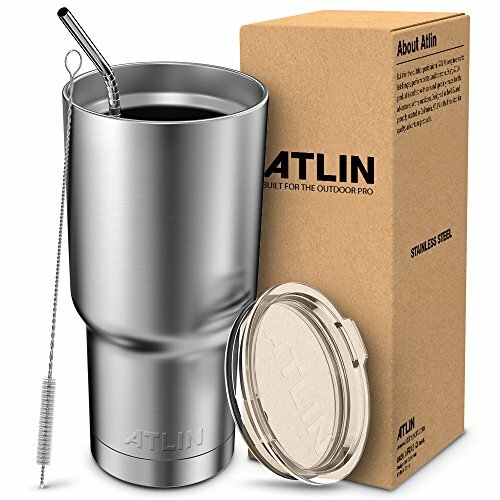 What’s more, the tumbler features two layers of insulation to help maintain the drink’s temperature no matter what the outside temperature is. The transparent lid is a nice detail and it also comes with a stainless steel straw, and a brush to keep it clean. If she’s religious about movie night, getting her a Popcorn Maker is definitely something you should consider. This one is the perfect option! 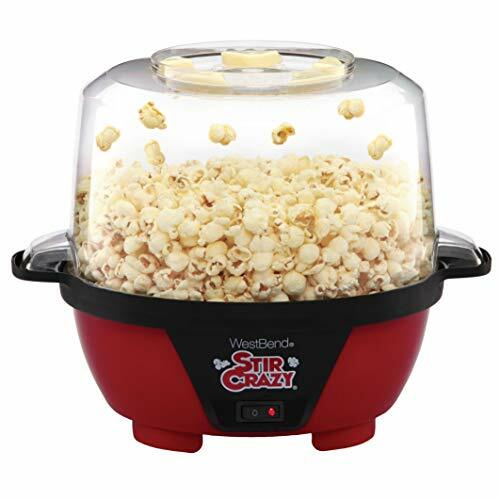 It comes with a vented clear cover that she can use as a popcorn bowl, a nonstick plate that’s easy to clean up, a motorized stir rod to ensure that she gets more popped corn on every batch, and a nesting lid that makes storage super convenient. This popcorn maker is safe and super practical, not to mention it will make her life a bit more complete. Scented candles make any space smell great and they also add to the coziness and comfort of it. 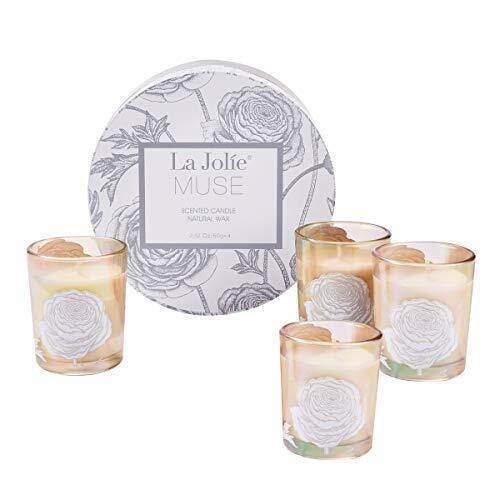 La Jolie Muse knows this and they’ve created a luxury, 4-season Scented Candle Set that includes fragrances such as White Jasmine and Mint, Aquamarine, Orange Cinnamon Clove and Himalayan Cedarwood, so that your mom can have a candle set for the entire year. Each candle will burn for around 15 hours and it will help your mom create the kind of ambiance she enjoys whenever she needs. These candles are the perfect companion for dinners, reading books, or just lounging at home! The older we get, the fewer things we want to have cluttering our space. That’s why getting your mom a nice Toiletry Bag like this can be a great idea! This bag is not just beautiful, it’s also practical and it will be perfect for mom’s cosmetics and toiletries. 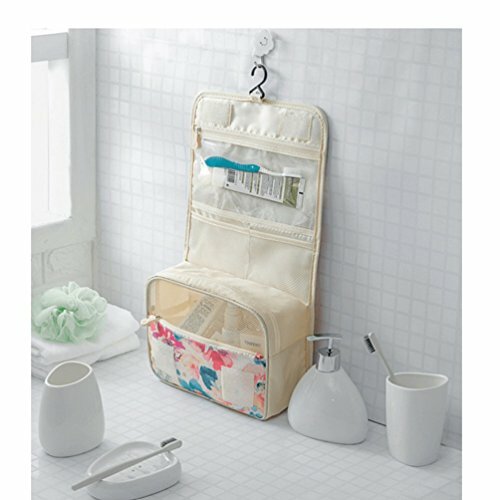 Instead of having them all lying around, she can store them in this beautiful toiletry bag and just hang it in her bathroom. It features antibacterial lining, water-resistant fabric, smooth zippers, and multiple compartments! There are many different colors and design to choose from, which is a plus. Overall, this is a great item that she will enjoy! If you like these designer fragrances, you'll love our impressions! If she cares about smelling good all day everyday, then this set of roll on perfume can be the perfect gift. This Roll On Perfume Set contains 5 different fragrances inspired on designer brands. 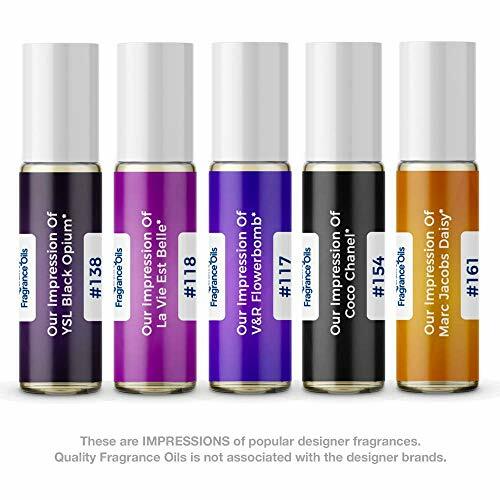 It’s called “impressions” because this brand essentially created their impression of perfumes such as Daisy by Marc Jacobs, Coco Chanel, and others! This set of roll on perfume is the perfect present because she’ll be able to choose one and drop it in her purse so she can always go to it whenever she needs. It’s as easy as taking off the cap and rolling it on so she can always smell fresh. If your mom enjoys traveling, getting her this Travel Document Organizer is a great idea! 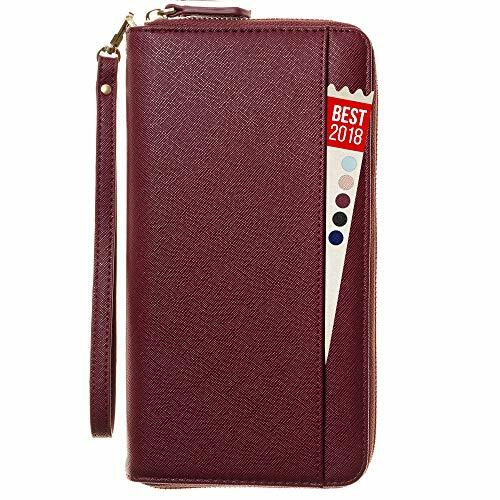 This high-quality UP leather organizer comes in 5 different colors and it fits up to 4 passports, tickets, money, up to 6 credit cards, travel documents, ID or driver’s license, and even her phone! This passport wallet is essentially a clutch that she can zip up to protect all her important travel documents and essentials. It’s perfect to keep everything in one place and avoid having to go through the entire contents of one’s purse! If mom loves her wine, this spill-proof, unbreakable, double vacuum insulated wine tumbler can be the perfect present for her. 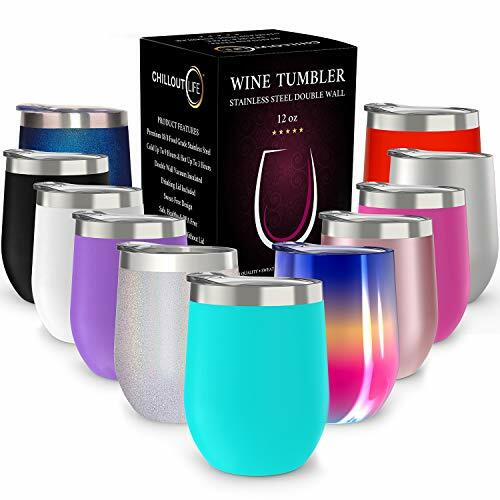 This Wine Tumbler comes in many different lovely colors and it’s something she can take with her wherever she goes because it’s super practical, portable, and well-made. 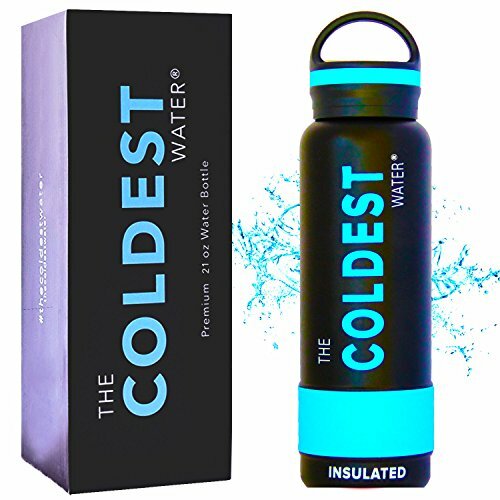 If your mom is an active person and she likes having a cold sip of water available at all times, the Coldest Water Bottle is definitely a great gift. This incredible water bottle will keep her water cold for up to 36 hours thanks to its stainless steel build completed with double wall and vacuum seal. This water bottle is super durable, practical and effective when it comes to keeping your mom’s water cold and fresh. Any of the items of this list can make a great present for mom on mother’s day, just make sure you consider her likes and dislikes to make the perfect choice!